The busy streets of Bangkok making you wish for a peaceful retreat? Book an appointment at the Lavana Grand Sukhumvit Spa. A luxury spa and massage centre, Lavana Grand offers a range of therapies to help you feel relaxed and rejuvenated. 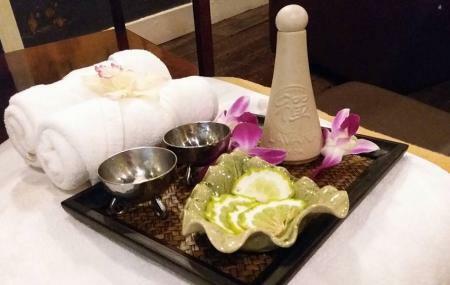 The place offers luxurious amenities with comprehensive treatments for beauty and wellness and yoga sessions as well. They also have routine promotions and special offers which you can check before booking a session. If you are looking for more incentives, their free shuttle service for clients will definitely make you want to book an appointment that will make you happier and healthier. 아속역괴 프롬퐁역 사이에 위치. 프롬퐁역에서 무료 픽업서비스. 프라이빗한 장소에서 고급스러운 마사지 서비스 이용. 모닝프로모션은 브런치 제공. 만족스러운 편. 가격이 대중적이지는 않아서 별 하나 뺐음.